Science geek Meg is left to look after her little sister for ten days after her free-spirited mum leaves suddenly to follow up yet another of her Big Important Causes. But while Meg may understand how the universe was formed, baby Elsa is a complete mystery to her. 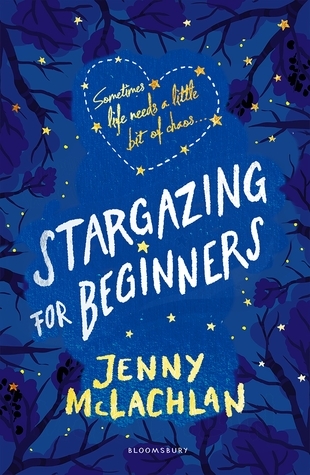 Fans fell in love with the warmth, wit, romance and fierce friendships in Flirty Dancing, Love Bomb, Sunkissed and Star Struck, and Stargazing for Beginners has all that and galaxies more. This is the best kind of real-life fiction – with big themes and irresistible characters, it goes straight to your heart. I love Jenny's books. 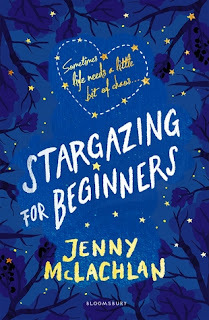 I came to expect an awesome read that was full of heart when I was working my way through the Flirty Dancing series and she's done it again with stargazing for beginners. I loved this book for several reasons. Firstly I loved that it featured a female lead character who was obsessed by science and wanted to be an astronaut. Yay for smashing down the gender stereotypes. I loved her cleverness and determination to work as hard as possible in school to get where she wanted to in life so she could be as successful as possible. I loved Meg's relationship with her slightly chaotic grandfather. I love a book that showcases relationships with grandparents and the one in this was particularly sweet. I also enjoyed seeing the relationship Meg had with her much younger sister especially when she found herself along with her baby sister and having to look after her at short notice. I want a sequel for this desperately.